With thousands of templates and easy editing tools, Slideshop takes the pain out of slideshows. Whether you’re making a presentation at work, at school, or just to share cool ideas, slideshows are a critical tool. But they can also be a hassle to create, and with everything else that goes into making a great presentation, slideshows can also feel like a distraction. So it’s nice to have a tool for making the process easier. 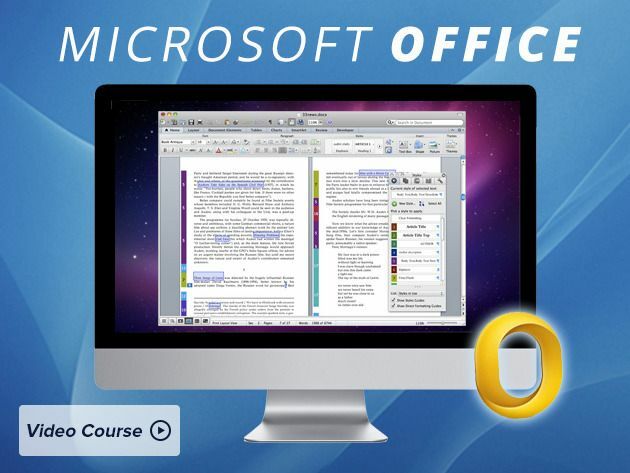 There’s a lot to Microsoft Office, and many of us are expected to dive right in and be competent with the software suite with little to no training. That’s where this Cult of Mac Deals promotion can help. 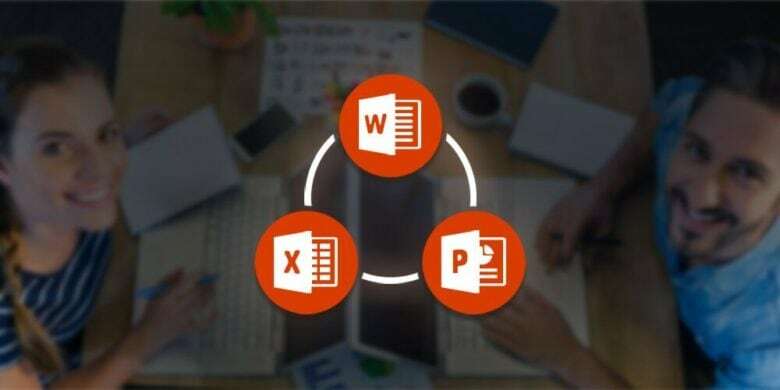 With this actionable course, you’ll learn be able to mater MS Office and take your skills to the next level (while impressing your co-workers and superiors in the process) with The Microsoft Office 2011 Course Bundle. And Cult of Mac Deals has this package available for only $39 for a limited time. Great presentations are about the ideas, not the slides. Yet most people spend more than half their time making slides rather than honing their message. This is where Slidevana comes in. 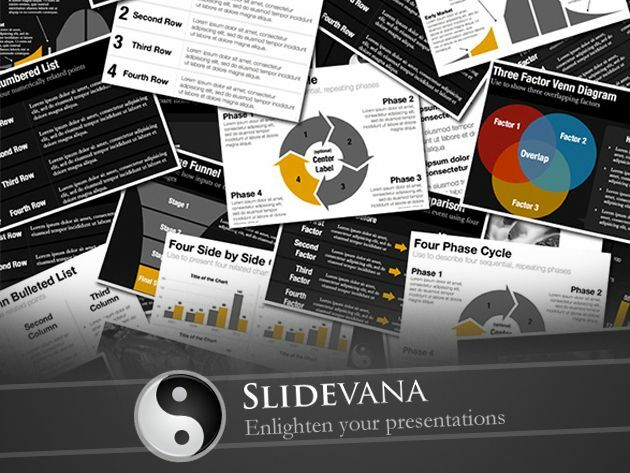 Slidevana takes the tedium out of creating clear, elegant slides so you can concentrate on getting your message across. You shouldn’t have to be a snazzy designer to provide a quality presentation and this is the software to ensure anyone trying to present a point can inform in style. And now you can get Slidevana through Cult of Mac Deals for only $69 – a savings of 50%! When it comes to the art of the pitch, presentation is everything. 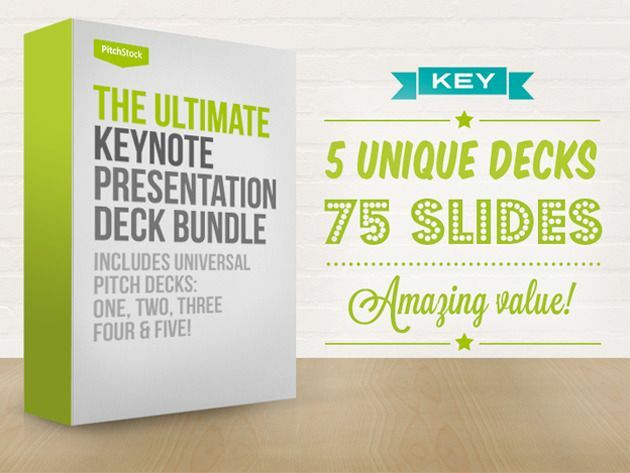 With The Ultimate Keynote Presentation Bundle you’ll get 5 fully customizable decks from Pitchstock, which will help you take your pitch to new heights. 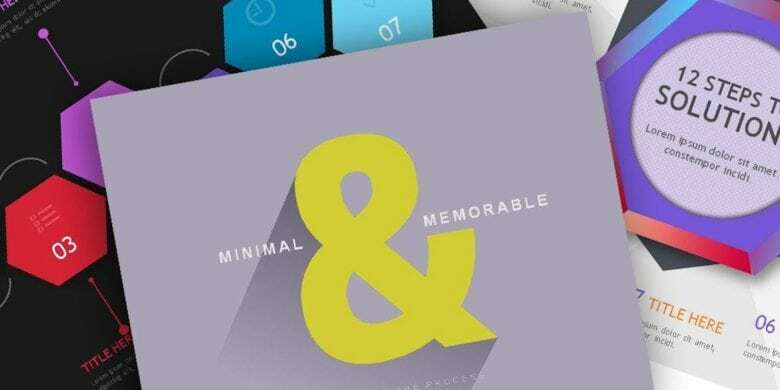 These modern, beautifully crafted presentation templates will enable you to create cracking presentations in minutes. And you can get the bundle for only $15 during this limited time offer. I’ve done my share of presentations over the years, and nothing really beats Keynote when it comes to assembling a quality slidedeck. When done right, the look and feel of a presentation done in Keynote can really elevate the overall impact of what you’re saying. Sure, using tactics that are explored by professionals such as Nancy Duarte and Gar Reynolds are also great resources to have in your pocket, but if your slides don’t stand out when applying such tactics (and yet don’t overshadow your words), then you’re already working from a disadvantage. Keynote has plenty of stock templates, but if you want to get something will stand out from the crowd then Slidevana may just be what you’ve been looking for. And Cult of Mac Deals has it for just $69 during this limited time offer. The tools you can find today to take your school projects to the next level are simply astounding. You can do a lot with the innovations that have come along in design, as things like Haiku Deck and Prezi are replacing things like PowerPoint and those seemingly ancient slide projectors. They’ve also reached a price where they aren’t only affordable for most, but even for those living on a student’s budget can add some impressive tools to their arsenal at a fraction of what it used to cost. And Cult of Mac Deals has gone so far as to assemble a bundle where you can get a ton of design assets – and name your own price in the process – with The Name Your Own Price Back To School Designer Bundle. The bundles offered at Cult of Mac Deals are arguably the most popular – and when they can be delivered to our readers at no cost then their popularity is a given. Now’s the time for Cult of Mac Deals to offer up another “freebie” bundle, and this one has apps that will help you with your design work, your photos, and your overall productivity. 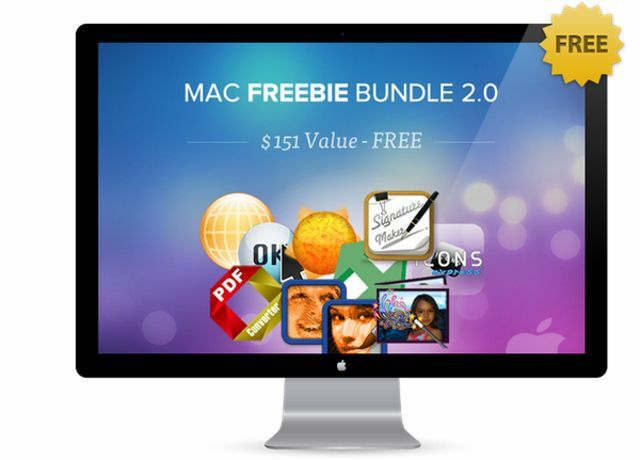 The Mac Freebie Bundle 2.0 features 10 apps that you can get for free – but only for a limted time! Having the ability to easily edit a PDF is a great thing, especially if you’re trying to go as paperless as possible. 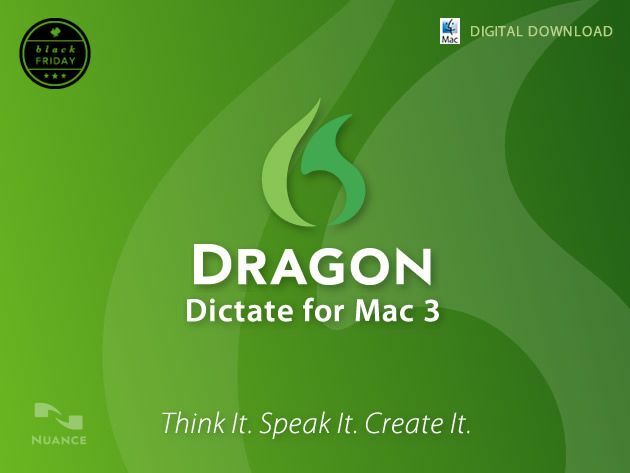 This Cult of Mac Deals offer boasts one of the best PDF editors for the Mac on the market in PDF Converter for Mac. The software’s ease-of-use really sets itself apart from other PDF editors and its powerful features allow you to efficiently edit and share PDFs in a flash. 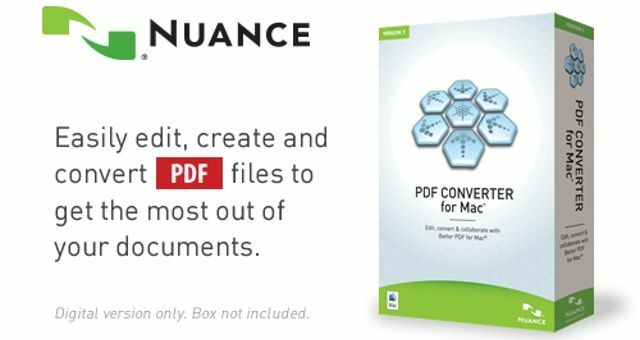 If you’re been hunting for a great piece of software that allows you to simply edit and share PDFs, PDF Converter for Mac is right up your alley – and at the featured price of $49.99 it’s more attractive than ever.